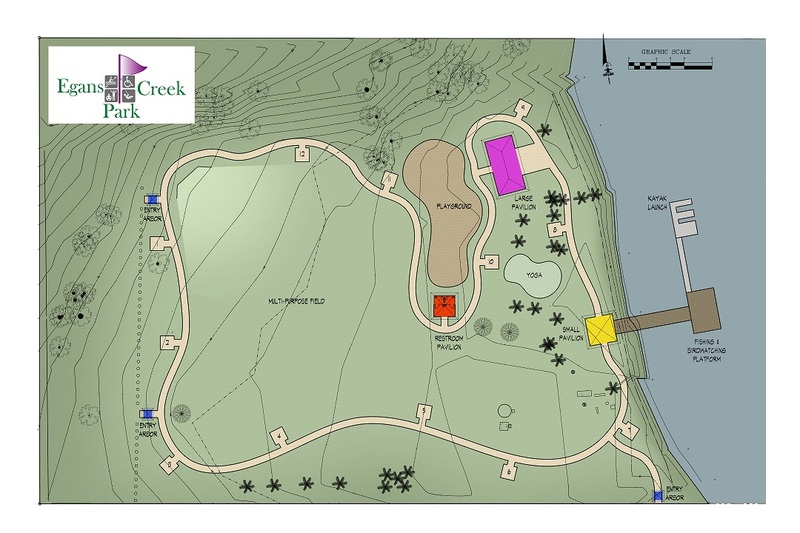 This is the overall design of the Egans Creek Park. Examples of features to be located in the park are shown in pictures throughout this website. The playground is under construction and is expected to be completed in early May. Grand opening mid-May! The playground is located to the left, and a little behind, the Atlantic Avenue Recreation Center, next to the Egan’s Creek Greenway. Okay great thank you! 🙂 Is it finished or just starting. We would like to get bricks. We have two ASD sons and visit there alot .